Mercedes-Benz has announced plans to begin selling a new fuel cell vehicle next year. The vehicle will be part of its GLC line and represents the automaker’s ongoing effort to promote hydrogen fuel cells as promising clean transportation solutions. The new vehicle will actually be a plug-in SUV, which will feature a battery systems than can be charged by the vehicle’s fuel cell or by being plugged into a wall socket. According to Mercedes-Benz, the new vehicle will be able to travel approximately 310 miles before needing to be refueled or charged. 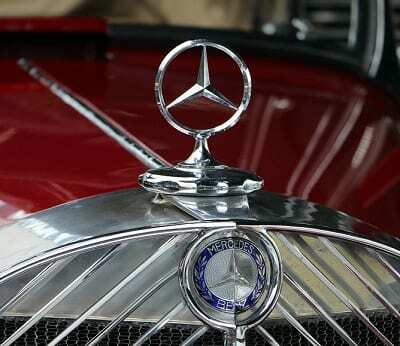 The vehicle is also part of an effort by Daimler, the owner of Mercedes-Benz, to expand the use of clean technology in the transportation space. Automakers are feeling greater pressure to become more environmentally friendly and limit their emissions production. Fuel cells are beginning to gain more notice as a result, and these energy systems may see more use in the auto industry in the coming years. While Daimler has shown support for hydrogen fuel cells in the past, the company has been somewhat critical of these energy systems. Fuel cells are notoriously expensive due to their use of costly materials. While they are capable of producing large quantities of electrical power, they lack the support of a comprehensive infrastructure. This means that drivers of fuel cell vehicles will only have limited access to the fuel that they need. Some automakers are working to resolve this issue by investing in the development of new hydrogen stations. Mercedes-Benz will be competing with other automakers in the clean transportation space, especially those investing in the development of fuel cell vehicles. The automaker was among the first companies to show how fuel cells can be used in transportation, highlighting their potential and ability to make vehicles more environmentally friendly and efficient.